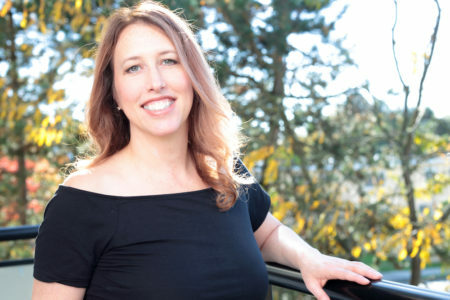 Joanne Probyn is a Canadian artist, art teacher and entrepreneur whose work has been sold and exhibited widely. Her work has been featured on book covers, museum exhibit designs, public art, album covers, greeting cards, collateral and websites serving corporate, government, educational and First Nations initiatives. While Probyn has travelled extensively and lived abroad, she is glad to call Vancouver her home. A fourth-generation Vancouverite, her practice has been enhanced by the city’s abundant natural beauty, diversity in arts and culture, and healthy living environment. At sixteen years old she transferred to Carson Graham Secondary School, known for their art program. Probyn was awarded a scholarship and accepted into Capilano University’s design and illustration program. She travelled with her class to New York City to tour prominent art museums–an adventure that would open her eyes and heart to the Old Masters. Eager to discover her artistic voice and begin practicing after university, Probyn lived for a stint in Paris, France, where she studied important artworks in many world-class museums such as the Louvre and Centre Pompidou. After a rare opportunity to art-direct the launch of a Saudi Arabian science and technology centre, she spent two years working in advertising in New York City’s Meatpacking District–the heart of New York’s contemporary art scene boasting hundreds of galleries. She lived in Harlem, Manhattan amongst a cherished community of friends and thrived in the neighborhood’s vibrant culture, music and history. She was fortunate to have been gifted a complete set professional, large-scale painting supplies which energized her practice. While in New York, Probyn mentored a student in partnership with Manhattan’s Art and Design High School for the artistically gifted. In addition to painting, she created as a designer for many of world’s top pharmaceutical companies including Pfizer and Johnson & Johnson. Probyn spent the next two years working in San Francisco where the spirit of innovation, expression, compassion, and technology colored her path. She enjoyed visiting many galleries, artists and film studios. It was here that she met Enrico Donati while at his Weinstein Gallery retrospective, one of his last major exhibitions before his death. Donati was the last living Surrealist closely associated with the movement’s leader, Andre Breton. Probyn’s recent work draws inspiration from Donati’s Moonscapes series (named by Marcel Duchamp). She has studied with many teachers, including renowned Canadian painter, Kiff Holland, and Governor General Award recipient, Eric Metcalfe. Upon her return to Vancouver, Probyn consulted as a therapeutic and private art teacher (including palliative care) for several years. In her work, imagination come to life as she creates an intimate visual journal that addresses themes including imperfection, history, unity, feminism, colonialism and resilience. Probyn connects representational and non-objective forms through styles such as abstract expressionism, surrealism, and impressionism by using acrylic, string, gold leaf, lace, mediums and thread. Lace, including pieces from her own family line, breaths new life into old objects while challenging perceptions of art and craft. Further, she both personifies with the canvas and pushes it’s physical, sculptural boundaries. She often slices the canvas and lovingly mends it with sewing and Kintsugi-inspired forms of repair (a Japanese method of repairing ceramic breakage with gold). Her passion for health and well-being has shaped her career. Through her creativity, she has supported community-oriented organizations including Vancity Credit Union, McCarthy Tétrault, BC Hydro, Canadian Public Relations Society and Central Coast Indigenous Resource Alliance to name a few. She played a key role in producing several large art shows such as Artists in our Midst, Art in the Park, and Bouquet of Hope where she booked and exhibited with headliner artist James Picard and Jay Senetchko. Her paintings, designs, writing, and art direction have been recognized with local and international awards, including North Vancouver Arts Council Award for Excellence in Painting, BCAMA Marketer of Year supporting Vancity, Magellan’s Top 50 Publicity Campaigns supporting Chandler Chicco Agency [CCA], MerComm Galaxy Award with CCA, Communicator Award of Distinction with CCA and MarCom Creative Awards supporting CAA. 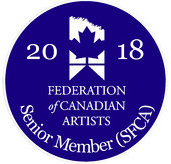 Probyn is a THRIVE Mastermind artist and Federation of Canadian Artists (FCA) active member.